It's Friday! Linking up with Tara and Vicki for the Nail Files. Today I'm sharing mine and Chloe's nails. We are decked out in red, white and blue for Independence Day!! This weekend we are going on a mini-vaca to Frankenmuth, Michigan. Can't wait to try the fried chicken at the Bavarian Inn. It'll be nice to get away. There won't be any relaxing. Four kids and a pool = overtime. 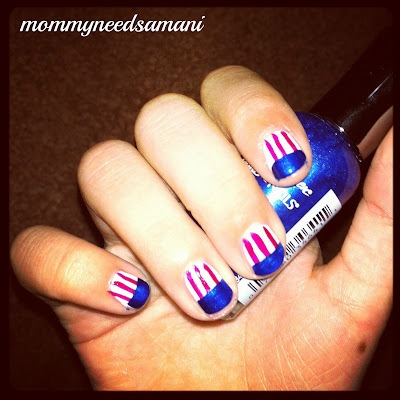 i was just planning on doing a patriotic mani today! 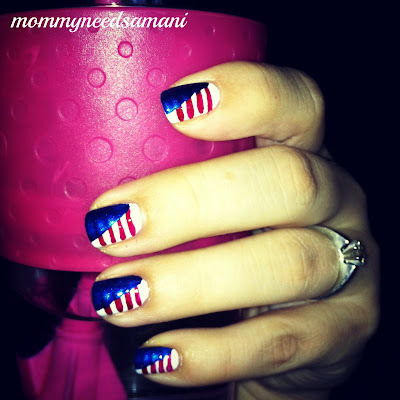 I just did my patriotic mani too! I love yours - the diagonal is so cute!